This past year, the home performance industry lost a dear friend. We pay tribute to one of our most tireless advocates and greatest contributors. The following obituary is from Mike’s wife Karen Sokol and his daughter Sabine. It first appeared in the Vermont online news outlet Seventh Day on December 26, 2018. Mike Rogers passed away on December 18, 2018, at home surrounded by his family, after a yearlong battle with an extremely rare and aggressive sinus cancer. His was the 40th case of this particular cancer ever recorded, and in some of his last moments he expressed hope that his experience might help researchers find more effective treatments for it. In the last year of his life, Mike proved that he would die as he had lived: in service of others, while also lighting up rooms with his one-of-a-kind storytelling, making time for long hikes with friends and family, and listening to John Prine songs all the way through. Born in 1964, Mike was the eldest son of Dan and Carol Miene Rogers, and he grew up with his brother and two sisters in Villa Park, Illinois. In 1986 he graduated from the University of Illinois at Urbana-Champaign with a bachelor’s degree in computer science/engineering. Not one to stick to a beaten path—on hiking trips or in life—he went on to pursue an MBA at the University of Indiana, where he designed his own curriculum with a focus on environmental issues and nonprofits. After earning his master’s, Mike served in the Peace Corps as a math teacher in the Central African Republic. There he met his wife, Karen, who was volunteering in public health. After finishing their Peace Corps service, they both stayed in the country to work on a USAID project focused on decreasing the transmission of HIV. They returned together to the United States and moved to Washington, D.C., where their two daughters were born and Mike started his career as an environmental protection specialist at the U.S. Environmental Protection Agency (EPA). He was affiliated with the EPA for 11 years and was the lead developer of Home Performance with Energy Star, a national program launched in 2002 that has helped hundreds of thousands of families across the United States to improve the comfort, safety, durability and energy efficiency of their homes. Soon after the family moved to Vermont in 1997, Mike completed one of the country’s first “deep energy retrofits” on their historic 1920s home in Burlington, with the help of his brother, Chris. Driven by his passion for and sense of duty to the planet, Mike worked in residential energy efficiency for more than 20 years and became a leader as well as a mentor and true friend to many in the industry. He presented at national conferences, worked on policy at the state and federal levels, led trainings and peer groups, and provided business coaching to support contracting companies. A spirited advocate for bringing more voices into the room, he encouraged women, minorities, and young people. 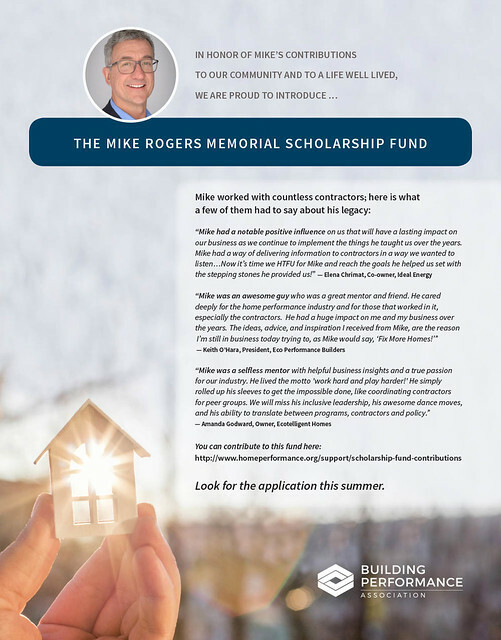 He helped raise funds for the Home Performance Coalition Scholarship Fund, which has fostered more diverse participation at national conferences. In 2017 Mike was inducted into the Building Performance Industry Hall of Fame in recognition of his many contributions. Mike was a gregarious guy who made friends easily everywhere he went. His love for his family and wide circle of friends was undisputed—from his college gang affectionately dubbed Ye Olde Pipe ’n’ Nob to his beloved Peace Corps friends and so many others—and he often credited them with making him the man that he was. Mike was an adventurer through and through: a cyclist and marathon runner and, ultimately, an extreme hiker. He inspired his family and many friends to join him on long treks and canyoneering trips and shared his deep love for the Grand Canyon with everyone he could. 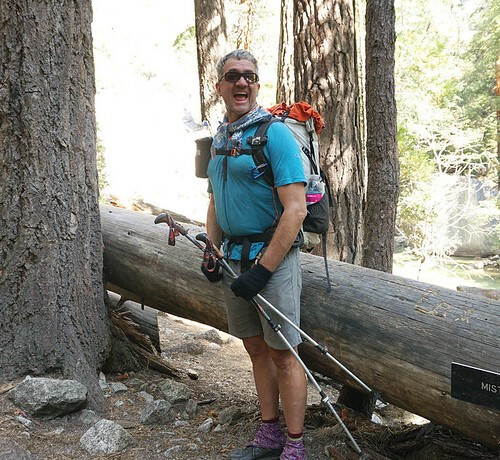 He hiked all 210 miles of the John Muir Trail in just two weeks during the summer of 2017 and was able to hike it once more with family just months before he died. He is survived and will be missed greatly by his wife, Karen Sokol, and daughters Mika and Sabine, as well as by his younger siblings Chris Rogers, Jodi Rogers-Reichensperger, and Dana Rogers, and his parents Carol and Dan Rogers. these scholarships that will not only cover the conference registration but will also include a travel stipend.